Puff all rajgira in hot cooker using half spoon at a time. 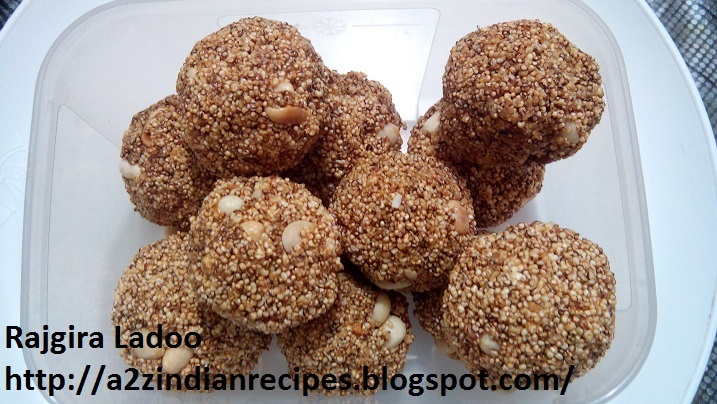 Take out in mixing ball add roasted groundnut. Mix well. Keep it aside. 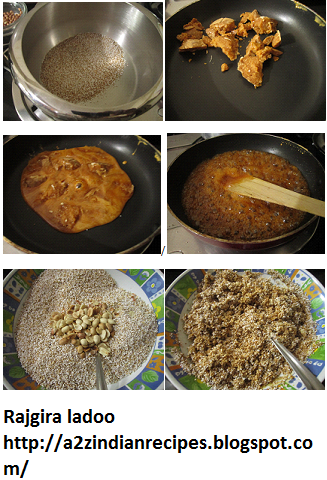 Melt jaggery with 1 tsp water and 1 tsp ghee on low flame in thick bottom pan or non stick pan for 10 to 12 min till it becomes goliband consistency. Means if you drop with spoon in glass of water it should not get dissolved but should make ball. So you have to act quickly. Because if it goes beyond ball consistency you really cant make laddo with that. Add jaggery into mixing bowl. Mix very well. 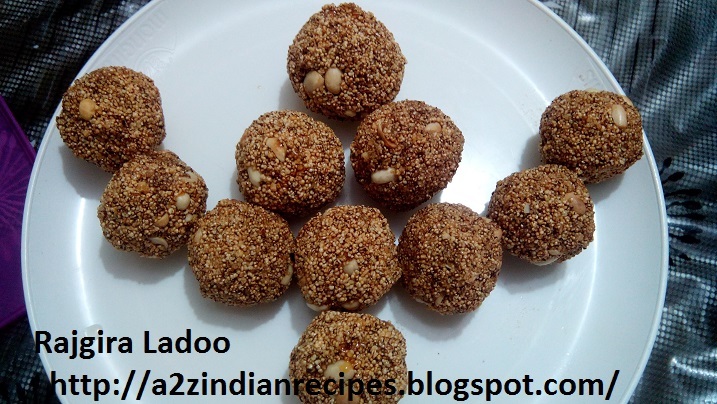 Apply water on palm and make ladoo till the mixture is hot. keep it in tight jar.